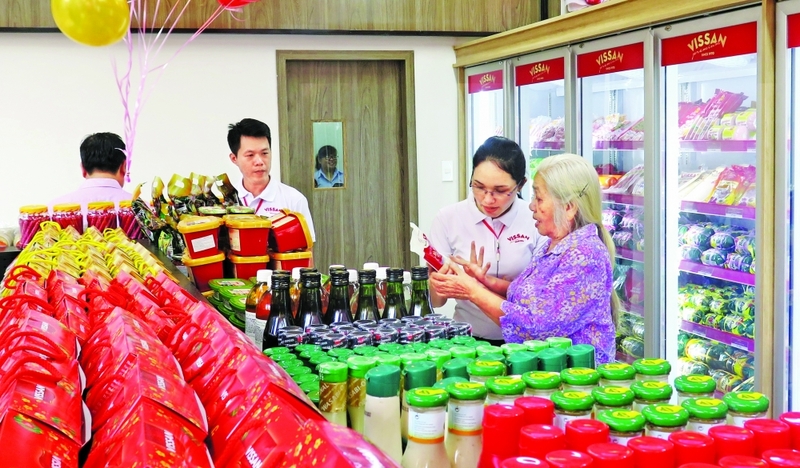 The VISSAN Joint Stock Company recently opened its first VISSAN Premium store in District 1 of Ho Chi Minh City, selling high-grade products such as imported frozen meat, processed food, spices, vegetables, roots, fruit and herb-fed pork. According to VISSAN General Director Nguyen Ngoc An, VISSAN’s herb-fed pork meets VietGAP standards and is safe for consumer health. In the near future, the company will open more Premium stores in Ho Chi Minh City and other localities. The Saigon Trading Group (Satra) is a leading food processing and production business in Ho Chi Minh City. It is also a successful retailer with 225 convenience stores selling more than 4,000 kinds of goods with food products accounting for over 80 percent. The group plans to open an additional 60 Satrafoods convenience stores in 2019. The Saigon Food Joint Stock Company (Saigonfood) created revenue of VND1.9 trillion in 2018 and expects to increase it by 50 percent this year. Saigonfood currently supplies the Japanese market with 50 frozen food products. Domestic sales contribute 40 percent to its revenue, and exports account for 60 percent. Saigonfoods Deputy General Director Le Thi Thanh Lam said the company expects to increase the percentage of domestic sales in its revenue to 50 percent next year, hoping to bring domestic consumers high-quality and safe meals. “Along with selling food through supermarkets and convenience stores, Saigonfood wants to provide schools and hospitals with nutritious and safe food. To do this, the company is seeking cooperation from the education and health sectors, as well as state support policies,” Lam said. Agricultural production in Ho Chi Minh City currently meets only 20-30 percent of the demand for food, with 70-80 percent supplied by other localities. 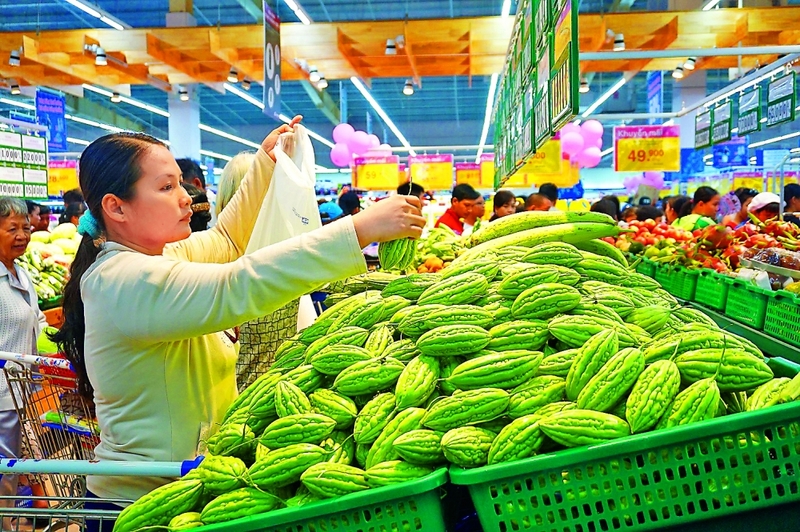 The municipal Food Safety Management Board has signed cooperation agreements with the agricultural sectors of Binh Thuan, Long An, Lam Dong and Dong Thap provinces to maintain tight controls over the production, slaughtering, processing, distribution and circulation of food products. According to the Food Safety Management Board of Ho Chi Minh City, 369 agricultural value chain certifications have been granted for 230 units (farms, production and preliminary processing facilities and trading companies) with total annual output of 165,310 tonnes of food and 7.88 million liters of fish sauce. These include 53 certifications for annual production of 65,484 tonnes of vegetative products (52,851 tonnes of vegetables and roots; 12,573 tonnes of fruit and 60 tonnes of tea). These products carry the safe food logo in the domestic and export markets.